1. Sprinkle salt and pepper over the salmon on both sides. 2. Heat a pan. Drizzle in olive oil. When pan is hot. Add salmon in with the skin side down. Sear both side till golden brown. About 3-4 mins for each side. Then fry each side for another 1-2 mins. 3. Set fried salmon aside. Heat a pan. Oil in. Sauté chopped 2 cloves of garlic till aromatic. 4. Cut in 1 tablespoon butter. When butter melts, pour in 1/4 cup white wine or water. 5. Add in 1/4 cup heavy cream. Stir well. 6. Season with salt and pepper. 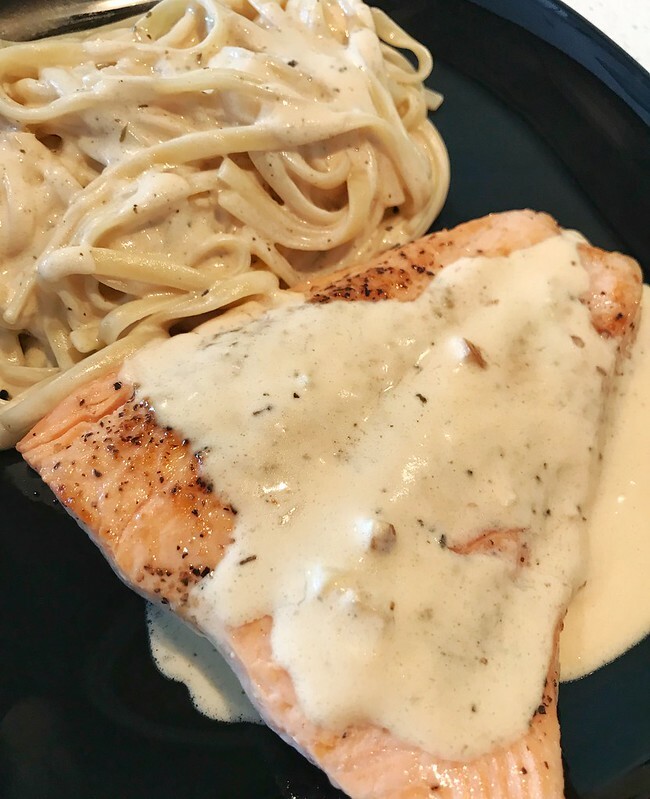 Spread the sauce over salmon. 7. Heat the sauce again, add in mixed herbs. And add in cooked linguine or pasta. Toss a bit. 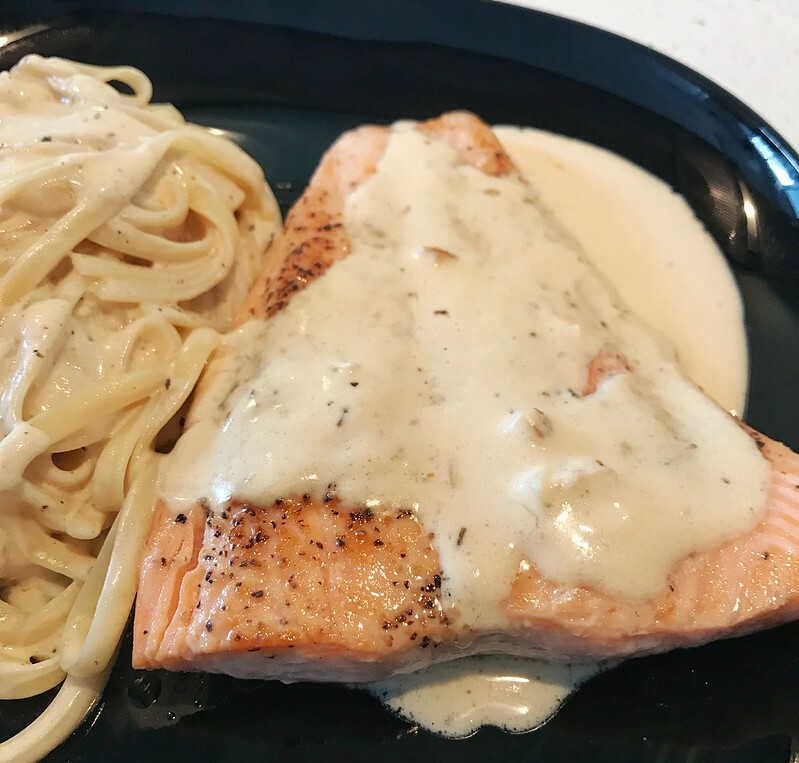 One sauce suits for both salmon and linguine.